Rodgers spent two seasons with the Houston Cougars, playing in 20 games total. In 2017, Rodgers helped the Houston rushing attack score 25 rushing touchdowns and rush for 2,002 yards on the ground. Rodgers was selected to the 2018 Spiral Tropical Bowl. 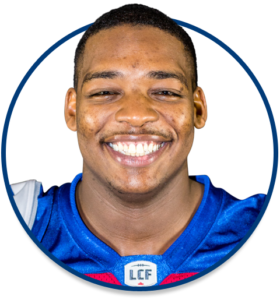 He is the son of former Blue Bomber Tyrone Rodgers.